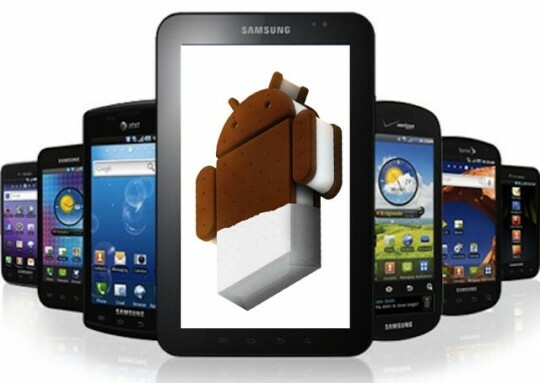 Considering how hard it is to get Android manufacturers to update nearly new phones to the latest official software version, it should be no surprise that Samsung has declined to upgrade the Galaxy S line of smartphones and the original Galaxy Tab to Ice Cream Sandwich. The company confirmed the news on its Samsung Tomorrow (translated) blog, disappointing many and surprising few. If you can read Korean or make sense of the Google translation, it looks like TouchWiz is a primary culprit. Samsung notes that unlike Nexus phones, the Galaxy S and Galaxy Tab require extra space for TouchWiz, video applications and carrier additions. There’s an obvious answer to that conundrum, Samsung, and it’s spelled A-O-S-P – just leave out the extra stuff that few are particularly fond of anyway, and you’ll be golden. But TouchWiz has become Samsung’s hallmark on the Android platform. It would be easy enough to send out a Galaxy S Ice Cream Sandwich ROM based on the software update now available for the near-identical Nexus S, but it appears that differentiation via TouchWiz is more conducive to “the best user experience”. It’s not especially good news, but at this point in Android’s evolution it’s unfortunately par for the course.